Discussion in '240Z / 260Z / 280Z' started by AliK, Apr 15, 2019 at 3:24 PM. 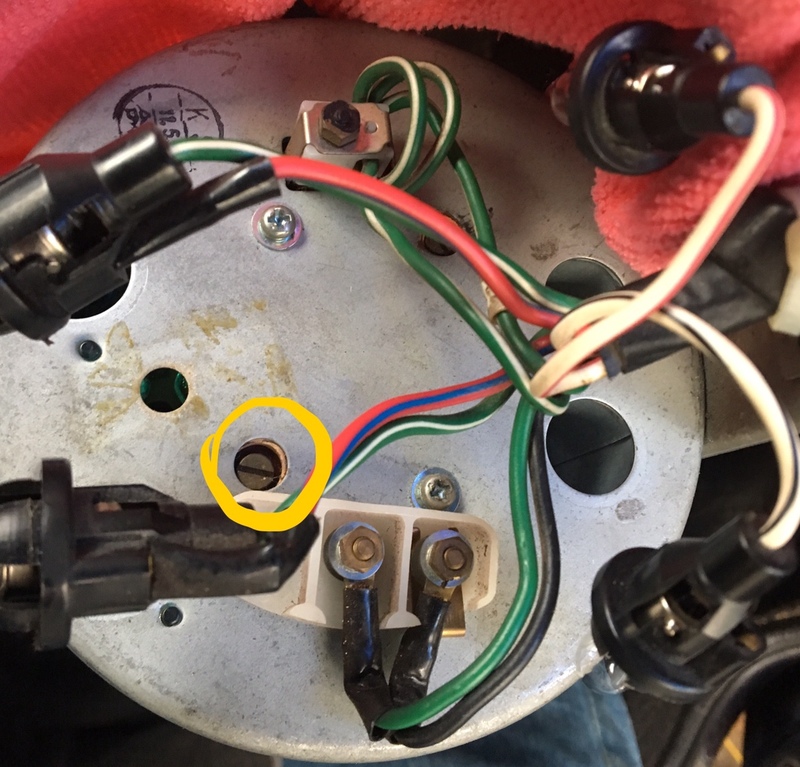 Does anybody know if this is the adjustment / calibration screw on the back of a 260z rev counter? Mine is consistently 10% optimistic across the range and I'd like to get it bob on if possible. Dunno, but I found mine also reads about 10% over at idle. Thanks fellas - will have to geek out on that properly when I next have a few quiet moments. When I figure this one out I will post back. JB - mine is consistently 10% over all around the rev range. Bizarrely though, my speedo is 15% pessimistic at 30 but gets accurate at 90 (on the track of course)! That one I defo need to deal with as an indicated 30 is more like 35ish and indicated 50 on the motorway roadworks is closer to 60!